When it comes to desserts, we’re pretty big on instant gratification, not liking to have to wait for hours before that delicious goodness gets in our belly. 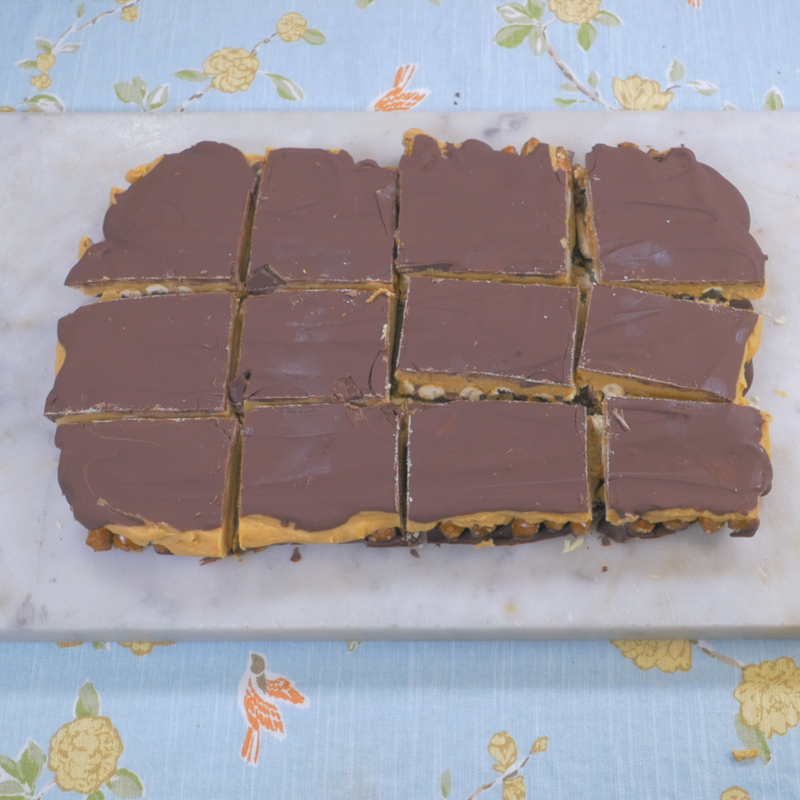 That’s why “no-bake” anything always appeals to us, and these bars are a particularly easy, indulgent treat that come together in a pinch. 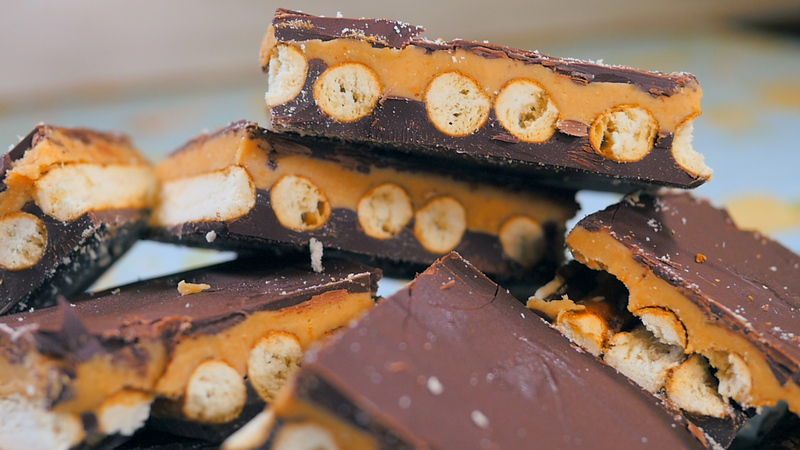 If the name didn’t give it away, chocolate, peanut butter and pretzels are the stars of this dessert show, and the result is a perfectly creamy, sweet, salty confection that’s ideal for just about any occasion. If you can operate a microwave, you can master these bars…what are you waiting for? Grab your five ingredients and check ‘em out! 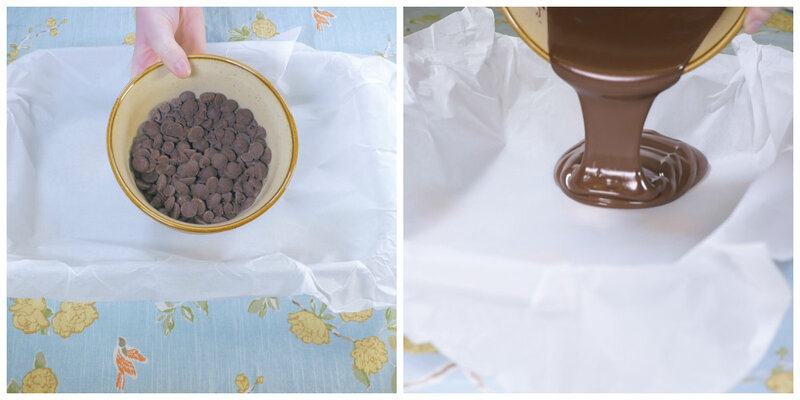 Divide chocolate chips in half and microwave the first bowl (at 20-second increments) for 1 minute, or until melted and smooth. 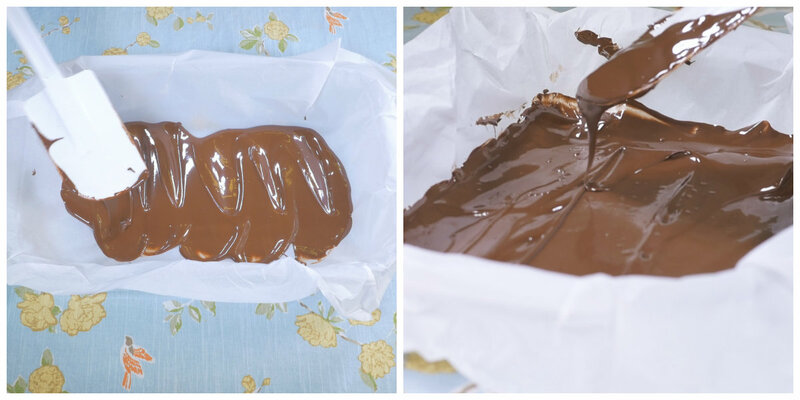 Pour melted chocolate into lined baking sheet and smooth out into all the corners. 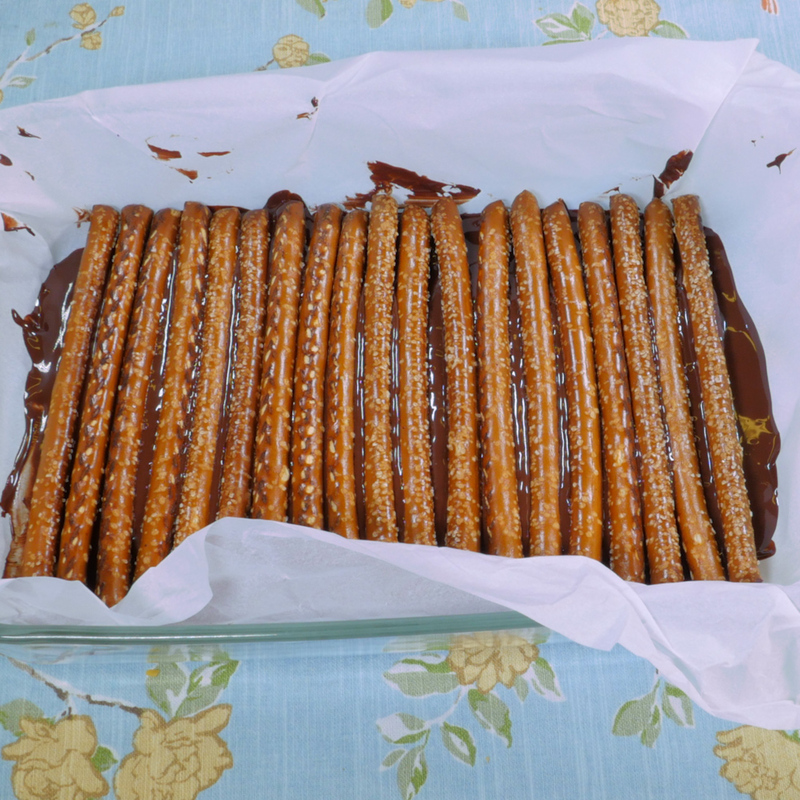 Line pretzel sticks evenly over the chocolate, then place baking dish in freezer until chocolate sets. 15-20 minutes. In a large bowl, combine peanut butter, powdered sugar and melted butter. Stir everything together until smooth. 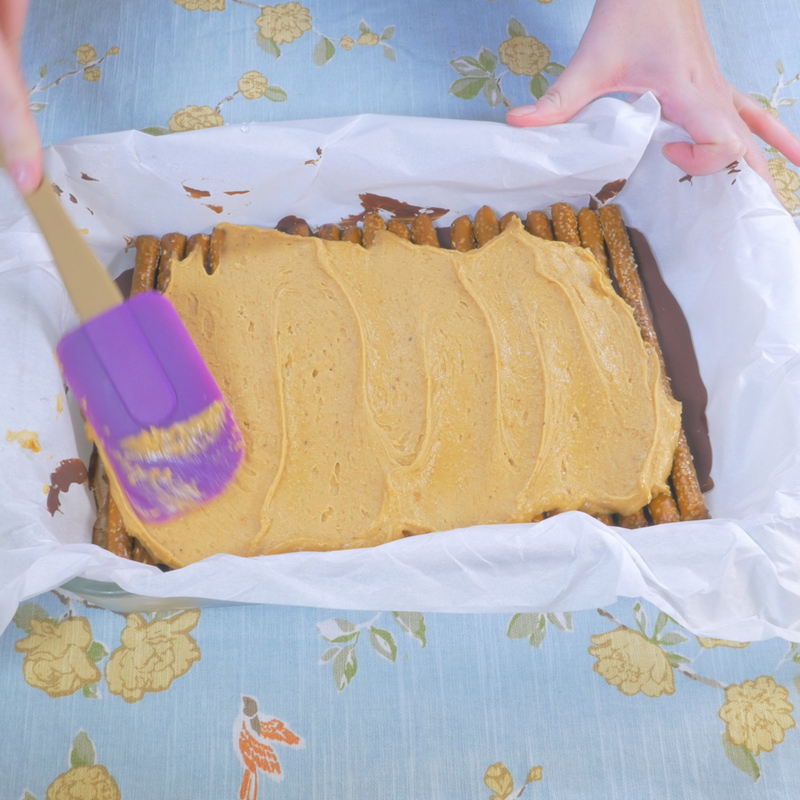 Remove baking dish from freezer and smooth peanut butter out over the pretzel rods. 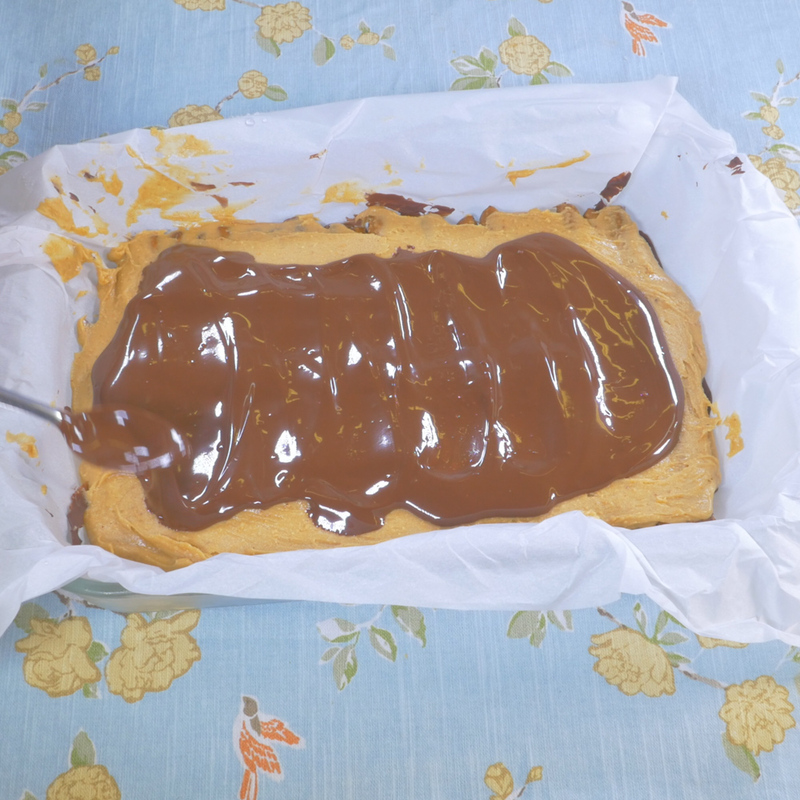 Melt remaining chocolate and drizzle it over the peanut butter. Carefully smooth it out, being careful not to transfer any of the peanut butter into the chocolate. Return bars to freezer and let chill for 20 minutes. Cut into squares and serve immediately, or store in an air-tight container in the refrigerator until ready to serve.